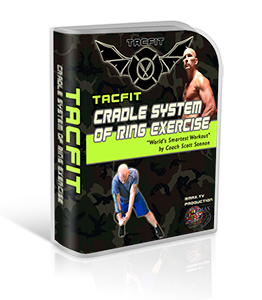 TACFIT Cradle System of Ring Exercise (TACFIT CSORE) is stability-based suspension training program. Efficient, portable, and effective, this latest addition to the TACFIT suite of products centralizes focus on two key aspects of suspension training: Shoulder Stability and Core Activation. Such design unlocks your training to have positive functional impact, without pain and injury. 3 levels of Progression deliver a challenge to all skill levels. A Start-up Guide, 6 Daily Journal Calendars, and a Library of instructional and follow along videos will guide you through the program and ensure you reap the benefits from your very first workout.